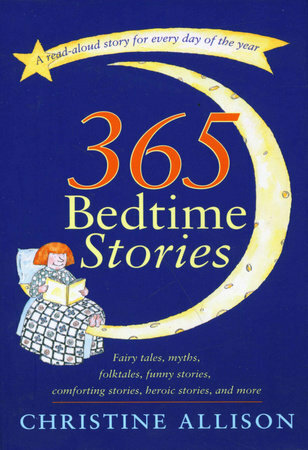 Arranged as a lively journey through the year, 365 Bedtime Stories includes stories for every mood, occasion, and day of the year. There are stories celebrating the New Year, beginnings and second chances, myths about the arrival of spring, foolhardy stories for April, tales of independence for July, spooky tales for October nights, soothing tales for difficult days, tales of gratitude and thanksgiving, and miracles for the year end. Although each story is designed to be read aloud, the charming drawings and sidebars on storytelling that accompany them are likely to inspire both readers and listeners to add their own imaginative embellishments along the way. Designed for children from ages 2 to 10 years old, these entertaining stories are short enough (one-half to one-and-a-half pages long) to make it easy for readers to agree to the "just one more story" their listeners are sure to request.